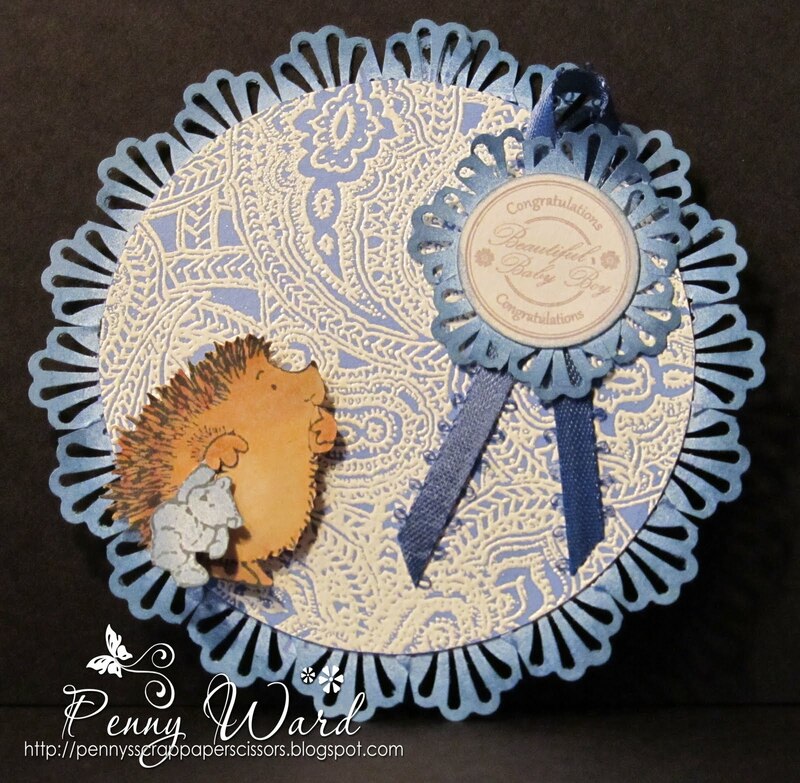 Stamped Penny Black Paisley Outline onto white cardstock and embossed with white powder. Inked this with Tim Holtz Faded Jeans. The outside of the circle is a strip of paper inked with TH Faded Jeans, then border punched with Martha Stewart deco fan punch. Cut this strip very close to the edge of the punches and clip between each "fan". Attached to the back of the circle. Hedgie is from the PB Holy Jolly stamp set and the tiny bear is from the PB Baby Hammock stamp. Sentiment is a digi.